HELL: Why Would A Good God Send Us There? Everybody has a Billy Graham story. This is mine. I was in a hurry. I had just finished a wedding and pulled on to U.S. 321 from Dallas headed to Belmont for an urgent meeting. The traffic was creeping. I noticed that highway patrolmen were posted by the road every quarter of a mile. I was frustrated. I followed the slow-moving traffic on to Interstate 85. My business on this Saturday in June of 2007 was pressing but the traffic crept along all the way to Belmont. It was only when I arrived at my destination did I learn that I had been a part of the funeral cortege of Ruth Graham. I had been too preoccupied to notice how honored I should have felt to be in such a procession. I felt as if this were a procession not just for president but a king. Indeed, to me this was a procession more important than any state funeral for any president or king that I have ever witnessed in my lifetime. Quite simply, I believe there was no single individual in the world in the last century who has more of positive effect on the world than Billy Graham. In essence, this was a procession for a king, the King of Kings, to whom this son of North Carolina had borne witness all of his life. I thought about what Billy would have said at this display of affection. For him, life was all about sharing the good news of Jesus Christ. For him, it was about the cross and the salvation offered to all people through the sacrificial death of Jesus and his subsequent Resurrection that literally changed the world. I glanced at the people around me. All of them have a Billy Graham story that they will carry with them for the rest of their lives. I have my own story. 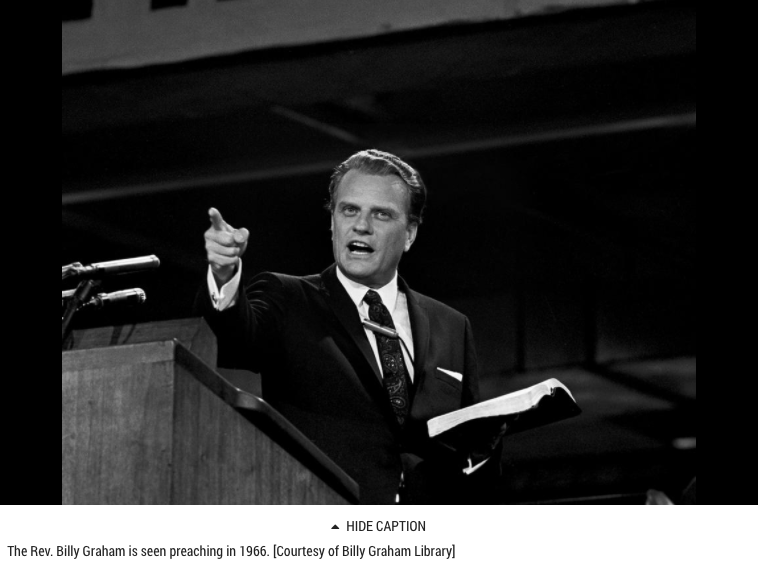 In the aftermath of my father’s death when I was 8 years old, I attended a Billy Graham Crusade. It was held in a stadium right across from the cemetery where my father and brother were buried. On that night, I heard a preacher share the good news again. I was sent follow-up materials (“some literature” as Billy would put it) that seemed to be addressed to me by a spiritual father still alive on this earth. Billy was like God’s reminder to me that my heavenly Father had not left me alone. We lived with family who cared for us in the aftermath of our tragedy. My grandfather and uncles helped me, but it was because Billy Graham still lived that I felt some of the presence of my now-departed earthly father. I know it sounds strange, but it was oh so true for me. What is your Billy Graham story? Tell it to someone and find your own heart lifted. On Saturday, I made an appointment to be on the bridge with others to honor Billy’s life in service to the King of all kings. I slowed down long enough to be mindful of the moment and the memory as this family followed in pristine procession. In the end, we all touched him or were touched by him in some way. Slow down. Take time. You may discover like me that by the time you get to where you are in a such hurry to make arrival, it will be just fine. > I have the BEST NEWS in the world! > Here is what I have SEEN AND HEARD. 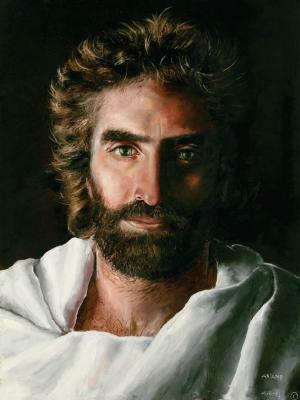 • 45 Philip went to look for Nathanael and told him, “We have found the very person…His name is Jesus…” 46 …“Come and see for yourself,” Philip replied. • When I am with those who are weak, I share their weakness, for I want to bring the weak to Christ. Yes, I try to find common ground with everyone, doing everything I can to save some. My “Will” Will Answer The Question> Will I GO TELL? Yes, But How? > SERVE Jesus on a CHURCH TEAM & SHARE Jesus at every opportunity. https://vimeo.com/channels/forestpointe/124153578 (< WATCH HERE- SCROLL to LOVE WON) “If Jesus rose from the dead, then you have to accept all that he said; if he didn’t rise from the dead, then why worry about any of what he said? ― Timothy Keller “I know the resurrection is a fact, and Watergate proved it to me. How? Because 12 men testified they had seen Jesus raised from the dead, then they proclaimed that truth for 40 years, never once denying it. Every one was beaten, tortured, stoned and put in prison. They would not have endured that if it weren’t true. Watergate embroiled 12 of the most powerful men in the world-and they couldn’t keep a lie for three weeks. You’re telling me 12 apostles could keep a lie for 40 years? Absolutely impossible.” Chuck Colson “The resurrection cannot be tamed or tethered by any utilitarian test. It is a vast watershed in history, or it is nothing. It cannot be tested for truth; it is the test of lesser truths. No light can be thrown on it; its own light blinds the investigator. It does not compel belief; it resists it. But once accepted as fact, it tells more about the universe, about history, and about man’s state and fate that all the mountains of other facts in the human accumulation.” ― LIFE Magazine 1956 IF THE RESURRECTION OF JESUS CHRIST IS TRUE, I MUST ACCEPT JESUS AND ALL HE SAID AND DO ALL HE WANTS. MY CHOICE > I Am Loved and I Am HIS OR I am loved and I am NOT HIS. The door is open. The resurrection is the key. Will you stay in your tomb? The Bottom Line > I BELIEVE Christ is RISEN and LOVE WINS! > Something In us wants JUSTICE…and HOPES it will come. > God promises justice and it is GUARANTEED…and in that I hope… and TREMBLE. > I can have hope when I fall for God will RAISE ME UP…when I hope in Him. > I can ANCHOR my life in a hope that encourages me. >>>>>> The Bottom Line > I HOPE. WHY Evil? WHY Suffering? WHY Pain? A Bout With Hurt: Why Evil? Why Pain? > EVIL ENTERED BY CHOICE, OUR CHOICE. > SOMETIMES MY PAIN COMES AS A TEST SO THAT I CAN LEARN TRUST. > SOMETIMES MY PAIN IS A MYSTERY TO IMPART PERSPECTIVE OR SOME MYSTERIOUS REASON KNOWN ONLY TO GOD. > SOMETIMES MY PAIN COMES FROM DISOBEDIENCE AND SIN. But what about the pain in the world?! Where is God when all this bad stuff happens? Where He has ALWAYS been….Transcending time and space, ruling the universe, and in exactly the SAME PLACE when his one and only Son was tortured, brutalized, and killed to bear your sin and my sin. God’s pain is the same as our pain multiplied by 107 Billion borne on the body of Jesus, His one and only. >>>> So Why Evil and Pain?- BECAUSE WE WANTED MORE THAN PERFECT AND ENDED UP WITH LESS THAN THE BEST. <<<< BUT GOD...loves us SO MUCH still. 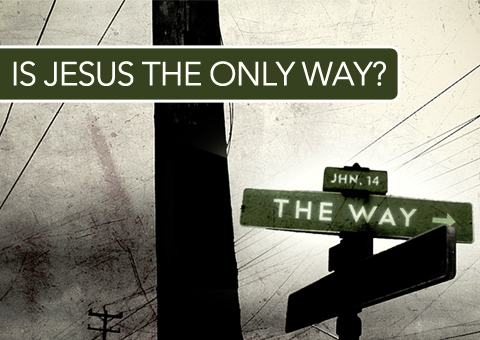 Is JESUS The Only Way? What Did JESUS Say About It? …THE WAY, THE TRUTH, AND THE LIFE. WHAT ELSE ABOUT JESUS IS MOST IMPORTANT? Do I believe Jesus was a lunatic? Do I believe Jesus was a liar? Do I believe Jesus is THE LORD ? I believe Jesus is MY LORD. 1. I am RESTLESS if I look only here for what I long for. THE BOTTOM LINE- My LONGING is filled when the ONE I LONG for fills it. When I get love, I am compelled to give it because God lives in me. 11 Dear friends, since God loved us that much, we surely ought to love each other. 12 No one has ever seen God. But if we love each other, God lives in us, and His love is brought to full expression in us. 13 And God has given us his Spirit as proof that we live in Him and He in us. …16 We know how much God loves us, and we have put our trust in His love. God is love, and all who live in love live in God, and God lives in them…17 And as we live in God, our love grows more perfect. …19 We love each other because he loved us first. I know that I love well when I am described with loving qualities. So What? Love IS. Am I? Love DOES. Do I? JESUS TOUCHED MANY PEOPLE IN MANY UNIQUE WAYS. PAY ATTENTION TO PEOPLE ALL AROUND WH0 NEED CHRIST’S TOUCH. PEOPLE HAVE HEARD THAT THE TOUCH OF CHRIST IS REAL. THEY MAY TOUCH ME TO FEEL HIM. WHEN SOMEONE REACHES OUT TO ME. I MAY BE THEIR BEST HOPE AND ANSWER TO PRAYER. …27(b) and touched his robe. 28 For she thought to herself, “If I can just touch his robe, I will be healed.” 29 Immediately the bleeding stopped, and she could feel in her body that she had been healed of her terrible condition. TOUCHING OTHERS FOR CHRIST TRANSFERS POWER THROUGH US. 30 Jesus realized at once that healing power had gone out from him, so he turned around in the crowd and asked, “Who touched my robe?”31 His disciples said to him, “Look at this crowd pressing around you. How can you ask, ‘Who touched me?’”32 But he kept on looking around to see who had done it. 33 Then the frightened woman, trembling at the realization of what had happened to her, came and fell to her knees in front of him and told him what she had done. GOD CAN USE ME TO LOVE THEM…JUST LIKE JESUS. 4 Just as our bodies have many parts and each part has a special function, 5 so it is with Christ’s body. We are many parts of one body, and we all belong to each other. 6 In his grace, God has given us different gifts for doing certain things well. So What? > LOVE DOES SO LOVE TOUCHES.